A novelty at Tucson 2011. 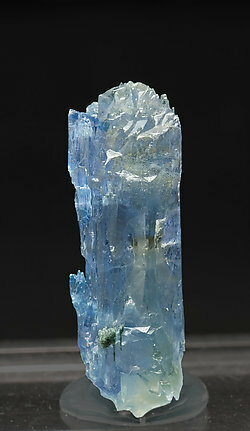 Crystal with a very acute pyramidal polycrystalline termination. 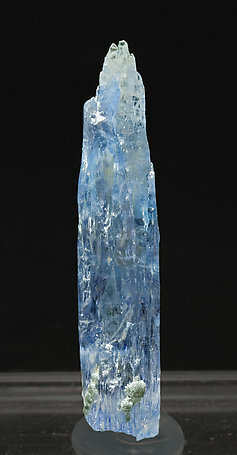 The crystal is transparent, bright and a deep sky blue color with slight violet shades. They are floaters with irregular surfaces, having had been formed in channels of dissolution in bigger crystals, now missing.